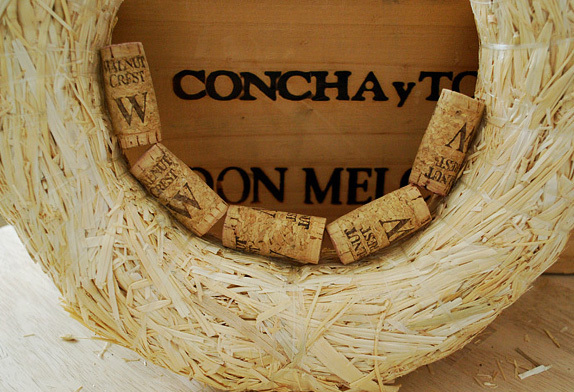 Project from Crafting with Lolly: “Kewl Cork Wreath” by Lolly Chops What you need 12″ straw wreath, Glue gun, Glue sticks (lots – I used 6 of the 10″ long – high temp sticks), Wine Corks (I used 180 for this project), Vacuum (cause you are gonna need to clean up the straw), Twine or floral wire. 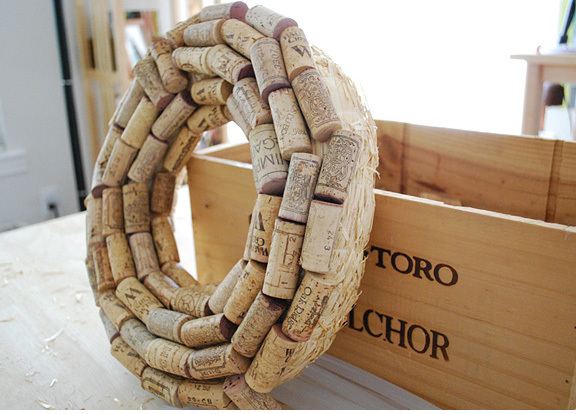 You are going to want to cover the entire front of the wreath in corks laying side by side. 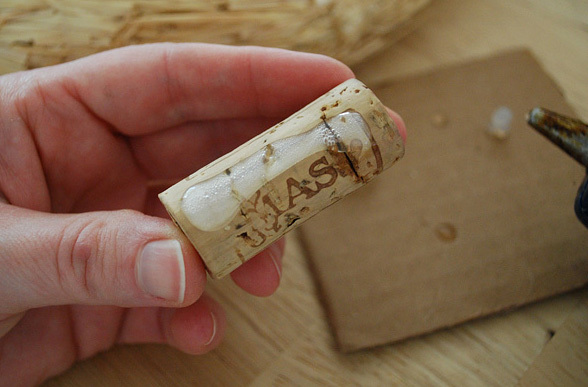 The best way to do this is with a long swath of hot glue down one side of the cork. 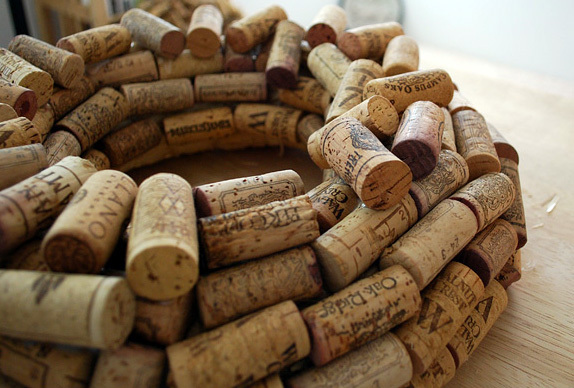 Line the corks up all nice and neat in a little row. 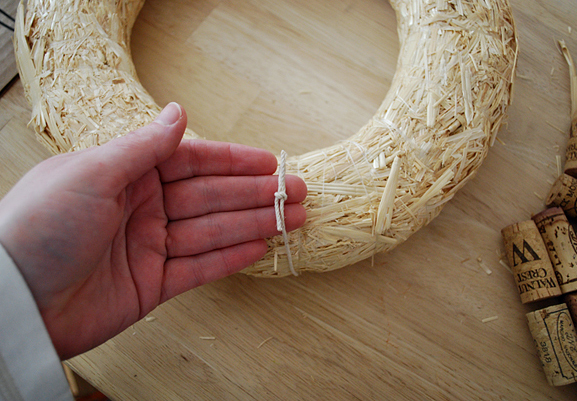 You are not going to want to go around the back side of the wreath – remember – it’s going to be hanging on a wall so you want the backside to be flat. You will get to a stubborn part where they do not line up like you want them to. So you just have to tuck them in where you can… still trying as hard as you can to stay flat for this first layer. BUT.. you probably won’t be able to and that’s totally ok! What I am trying to demonstrate here is that you actually can go a little wild and crazy. Your goal with the first layer is to cover up as much of the straw as possible. Any way you can. 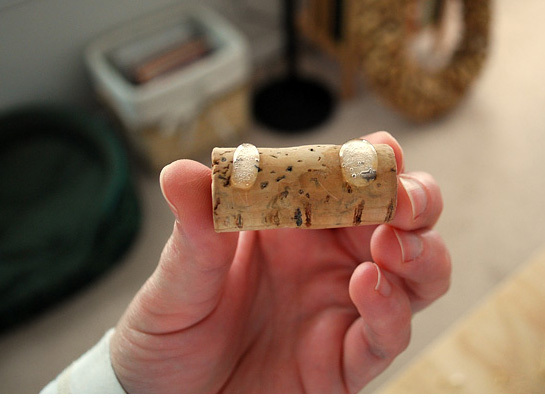 .and here I am gluing the corks directly to the string I tied. You do not need to do this… it’s just something that happens as you are hot gluing along. Make sure you leave some slack twine in the back. 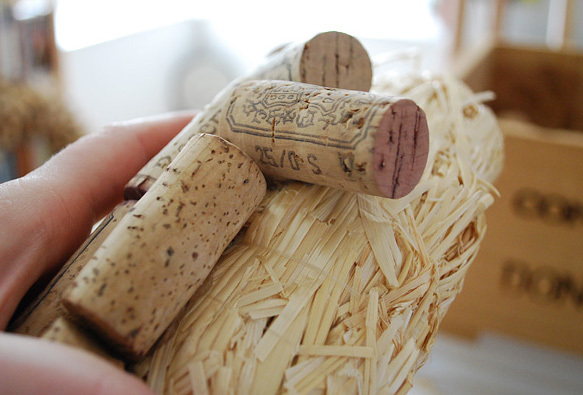 Once you get the first layer of corks on, the long strip of glue is no longer going to cut the mustard. See how the first layer is all coming together! 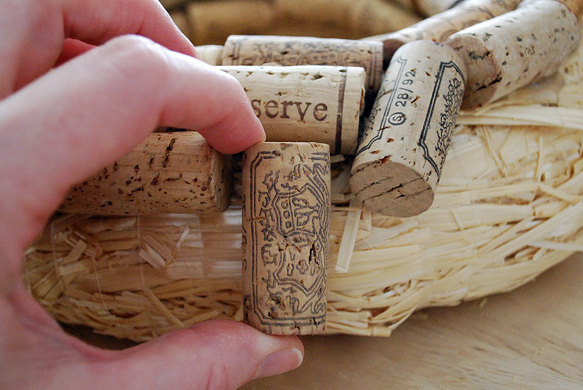 You want to glue the corks at random angles so that basically means you need some random (a.k.a…”creative”) glue placement. See what I mean. You want these little fellas staggered all over the place. 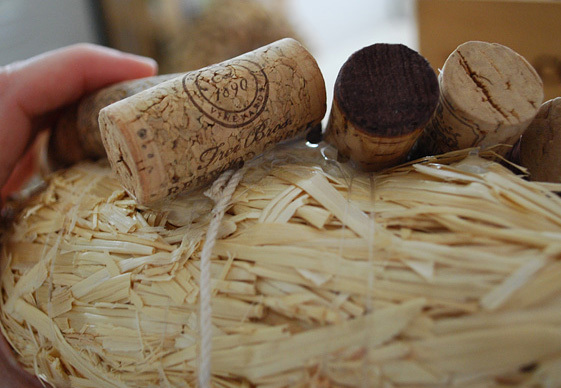 Here we are with a large dollop in the center so……we can balance that fella on top of one of the corks from the first layer. 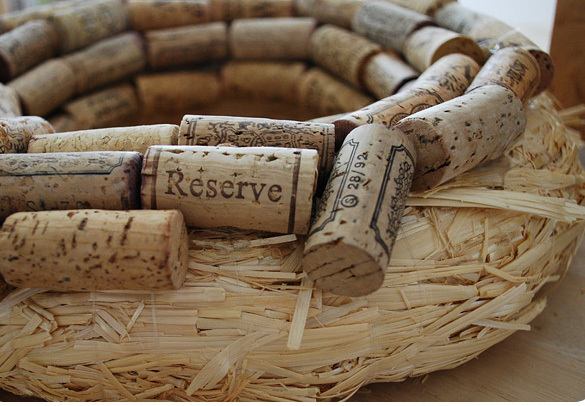 I am just randomly placing the corks now. I kinda got a little pattern going on the second layer by accident but I was able to break up the pattern with just a few randomly placed corks. And viola…a finished wreath!